The most common problem people have when printing the Kakuro puzzles is that the shaded areas of the puzzle are left blank. To fix that, you must change you brower's settings so that background images are printed. To get the backgrounds to print, click on the browser’s Tools menu. Select Internet Options, then click on the Advanced tab. 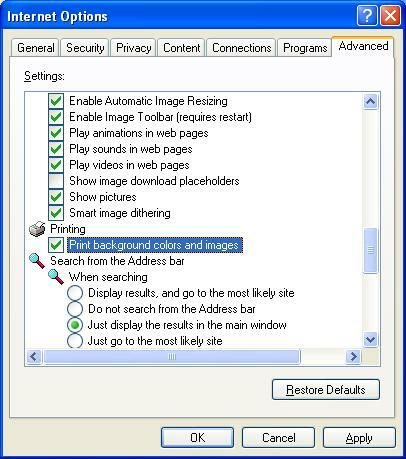 Scroll down to find the Printing heading and check the box called 'Print Background Colors and Images'. Tick the box, and press 'OK'. 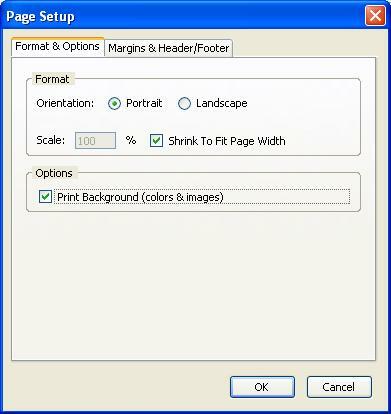 To get the backgrounds to print, click on the browser’s File menu. Select 'Page Setup', then click on the 'Format and Options' tab. Under the 'Options' section, tick 'Print Background (colors and images)'. Press 'OK' and you're done. <a href='http://kakuro.cc'> Kakuro Puzzles</a> - Free Kakuro everyday. Play online!